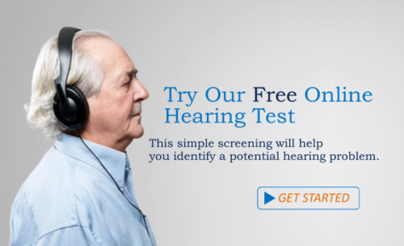 Our hearing tests are complimentary and do not have any hidden fees. You may get a copy of your results if you request and we also can send your results to your physician. Medical History. We will complete a detailed medical case history with you personally in a private examination room. We will ask you questions about your ears, hearing ability and current communication situation. Communication Assessment. An individualized and detailed assessment of your current communication ability will be conducted as it relates to your individual lifestyle and hearing needs. Counseling. We may provide comprehensive counseling that focuses on the underlying emotions of adult hearing loss. Please feel free to express your feelings about your hearing loss and communication without pressure or presumption..
You should expect to receive a thorough and detailed auditory assessment (hearing test). There is no charge for the hearing test. Ear Inspection. Prior to an auditory assessment the Hearing Healthcare Practitioner will thoroughly inspect your ears to make sure you do not have a medical condition or wax build-up in your ears. Testing. As part of a clinical protocol, the Hearing Healthcare Practitioner conducts the following tests or procedures in a commercial sound booth. Without testing in a sound treated area, you cannot be assured of receiving an accurate or valid auditory assessment. Immediately following the hearing test we will talk about the results. Education. Information on the consequences of untreated hearing loss and your current treatment options. The Hearing Healthcare Practitioner will share specific research findings as they relate to untreated hearing loss and treatment options (hearing aids, etc.) in clear language. This education could be in the form of a book or brochure, published article, fact sheet, or educational video. Demonstration. A live demonstration of modern digital hearing aids will be offered to you. The demonstration should be completed after the hearing test and you are expected to take them home on a trial run so you can experience how hearing aids perform in realistic situations. No Pressure Situation. You should never feel pressured to buy or make an immediate decision. Be sure to freely ask any questions that will help you make an informed decision. If you decide not to pursue amplification at the end of the first appointment, we will give you additional educational material and a precise price quote upon request. You should receive a copy of your test if you wish to show to your doctor or for your records. Hearing Aid Styles. the Hearing Healthcare Practitioner will review in considerable detail the styles and features of modern hearing aids and how they will potentially benefit you in everyday listening situations that are important to you. A description of hearing aid technology and styles is available on our website as well as in clinic. Part of this presentation should include the advantages and disadvantages of each style and feature options in relation to your communication needs, lifestyle, etc. One or Two. Part of the discussion you will have with the the Hearing Healthcare Practitioner revolves around using one or two hearing aids. Generally speaking, if you have a hearing loss in both ears, research indicates that two hearing aids work better than only one. When you are fitted with two instruments it is called a binaural fitting. the Hearing Healthcare Practitioner will be able to review with you the advantages of a binaural fitting compared to a monaural (one ear only) fitting. In most instances, two ears are better than one and there is a significant amount of literature to substantiate that claim. Recommendations. We will provide you with clear and concise treatment recommendations, allowing you to make an informed decision. The Hearing Healthcare Practitioner will provide at no cost a professionally written assessment for your family doctor detailing your hearing loss and their recommendations. Financial Issues. The Hearing Healthcare Practitioner will present to you clear and easily understood pricing options as well as financing options. Pricing varies due to style and technology and can range anywhere from approximately $700 to $3000 per hearing aid. The price differences should be explained to you thoroughly. If you purchase hearing aids, the Hearing Healthcare Practitioner or office assistant can check to see if you have insurance benefits that partially cover part of the expense. We have financing, payment plans and a hearing aid lease program if you are on a fixed income. Third Party benefits we cover include NIHB, DVA, WCB as well as Great West Life, SGI, Blue Cross, Wawanesa and more! Ear Molds. If you decide to pursue hearing aids, the Hearing Healthcare Practitioner will take a mold or cast of your ear. The mold allows the hearing aid manufacturer to customize the hearing aid or ear mold to your ears. This procedure will take 5 minutes and in few cases, may cause minimal discomfort. If you are purchasing a mini-behind-the-ear device with a thin tube or RIC's, this step will not be necessary. An ear mold will be required if you purchase completely-in-the canal (CIC), in-the-ear (ITE), in-the-canal (ITC), or larger behind-the-ear models. When you leave the first appointment you should feel comfortable with the Hearing Healthcare Practitioner and the entire office experience. 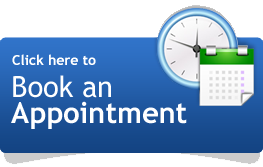 The first appointment may take an hour or more, so you should never feel rushed or hurried. Don't be afraid to ask questions - even after you get home from the appointment.